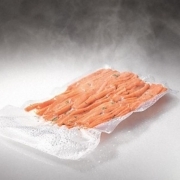 Once the choice of top chefs, Sous Vide is increasingly becoming popular for today’s passionate, home cook. With this method of cooking you can produce restaurant quality cooking in your home with the guidance of this French food preservation method. Sous Vide cooking is a method of cooking using precise temperature control to create consistent results. 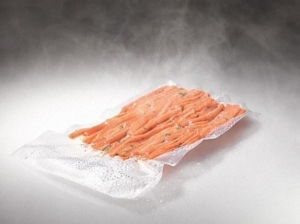 Sous Vide is defined as “cooking with the food vacuum sealed in a water bath or now with the aid of air and steam”. It is a very slow and precise method of cooking to gain maximum results. In the past sous vide has been something one might only order at a restaurant, but we are now seeing many appliance manufacturers that have their ovens with a setting to allow for this method of cooking to be done at home. You can check out steam ovens by Bosch, Miele and Wolf and refer to the single wall oven by Electrolux which has an “Air Sous Vide” method to gain best results.